1.What brought you to CrossFit? My brother in law was doing CF, and was dropping in at a local box while visiting NC. He invited me to go and try it. It took me about 6 months to go back, but I’ve been hooked since. 2.What was your first impression? I immediately realized how out of shape I was. That, and the weight work was intimidating (having no experience lifting anything). But, everyone was very friendly, and the classes were perfect size so the coach could focus on technique! 3.What’s been your biggest accomplishment? The Open in 2017. First time ever :). And, PRing my Murph time—by over 8 minutes!!! 4.What are you working on now? The ever elusive double under(haha)! Improving my speed on burpees and wall balls. Improving lifting technique (and trying to lift heavier). 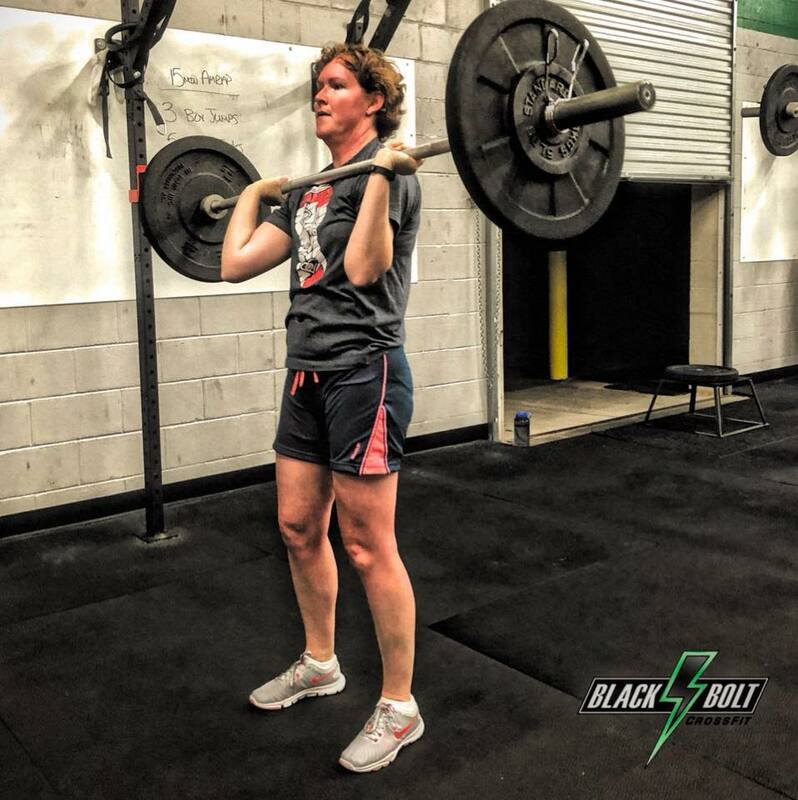 5.What’s your favorite Black Bolt CrossFit memory? The Open—never thought I could/would do it!